Here's the basic pattern (I'm a knitter, so forgive me! ): Chain stitch until your piece measures roughly the length around your shoulders. Then, double crochet a row. Then, start looping chains of 7, skip 3 (for the spaces in between), single crochet 1. 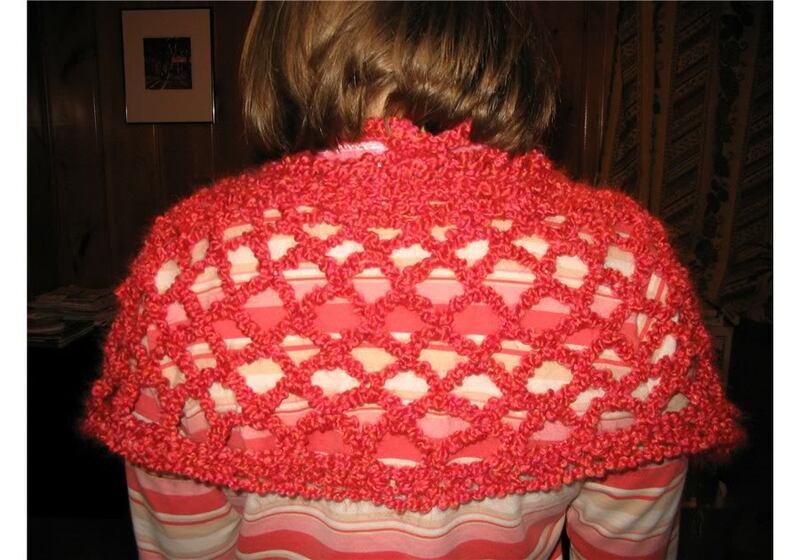 Once you have the desired width for your capelet, decrease your chains (6/5/4/3/2/1) unti you can stitch 1 row of single crochet with no spaces. Then, crochet a row of shells. Finally, string some ribbon through and your done! super cute, i love anthropologie (hate the prices) clothing! great work! 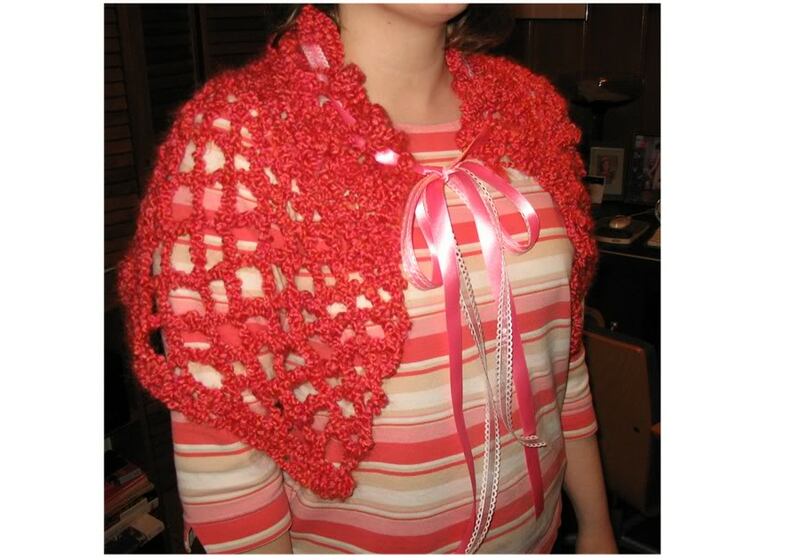 Love this caplet!!! Makes me want to take up crocheting too (just got into knitting). So might have some questions down the road. But great job!!!! Did you just create it from looking at the Anthropologie one? Basically my friend did just look at the Anthropologie one and tried to figure out how to make it using the basic stitches she know. Of course it isn't a replica or anything - more of an interpretation! Glad you like it!